The iPad from Apple could change the way we do business, from networking to presentations; to field surveys to modeling and production. The new device lends itself to the often sought-after seamless approach to out-of-office efficiency. The large Multi-Touch screen on iPad lets you see web pages as they were meant to be seen — one whole page at a time. With vibrant color and sharp text. So whether you’re looking at a page in portrait or landscape, you can see everything at a size that’s actually readable. And with iPad, navigating through the web has never been easier, or more intuitive. Because you use the most natural pointing device there is: your finger. You can scroll through a page just by flicking your finger up or down on the screen. Or pinch to zoom in or out on a photo. There’s also a thumbnail view that shows all your open pages in a grid, to let you quickly move from one page to the next. See and touch your email in ways you never could before. In landscape, you get a split-screen view, showing both an opened email and the messages in your Inbox. To see the opened email by itself, you just turn iPad to portrait, and the email automatically rotates and fills the screen. No matter which orientation you use, you can scroll through your mail, compose a new email using the large, on-screen keyboard, or delete messages, with nothing more than a tap and a flick. If someone emails you a photo, you can see it right in the message. You can also save the photos in an email directly to the built-in Photos app. And iPad will work with all the popular email providers, including MobileMe, Yahoo! Mail, Gmail, Hotmail, and AOL. With its crisp, vibrant display, and its unique software features, iPad is an extraordinary way to enjoy and share your photos. For example, the new Photos app displays the photos in an album as though they were in a stack. Just tap or pinch to open the stack, and the whole album opens up. Then you can flip through your pictures, zoom in or out, or watch a slideshow. You can even use your iPad as a beautiful digital photo frame while your iPad is docked or charging. And there are lots of ways to import photos: you can sync them from your computer, download them from an email, or import them directly from your camera using the Apple Camera Connection Kit. The large, high-resolution screen makes iPad perfect for watching any kind of video: from HD movies and TV shows, to podcasts and music videos. You can also easily move between wide-screen and full-screen with a double-tap. And because it’s essentially one big screen, with no buttons or anything to distract you, the picture fills your line of sight. So you feel completely immersed in what you’re watching. The YouTube app organizes videos so they’re really easy to see and navigate. To watch one, you just tap it. When you’re watching in landscape, the video will automatically play in full screen. And with its high-resolution display, the latest YouTube HD videos will look amazing on iPad. With the iPod app, all your music is literally at your fingertips. You can browse by album, song, artist, or genre, with a simple flick. To play a song, just tap it, and the now playing screen will show the album art at full size. Then you can listen to your music with either the powerful built-in speaker, or with wired or Bluetooth wireless headphones. Just tap on the iTunes Store icon, and you can browse and buy music, TV shows, podcasts — or buy and rent movies — wirelessly, right from your iPad. There are thousands of movies and TV shows (in both standard and high definition), along with thousands of podcasts, and millions of songs to choose from. You can even preview songs before you buy them. And you can sync iPad with the content you already have in your iTunes library on your Mac or PC. iPad will run almost 140,000 apps from the App Store. Everything from games to business apps, and more. And new apps that have been designed just for iPad are highlighted, so you can easily find the ones that take full advantage of its features. Just tap the App Store icon on the screen and you’ll be able to browse, buy, and download apps wirelessly, right to the iPad. The iBooks app is a great, new way to read and buy books.1Just download the app for free from the App Store, and you’ll be able to buy everything from classics to bestsellers from the built-in iBookstore. Once you’ve bought a book, it’s displayed on your Bookshelf. To read it, all you have to do is tap on it and it opens up. The high-resolution, LED-backlit screen displays everything in sharp, rich, color, so it’s very easy to read, even in low light. See more of the world with high-resolution Satellite and Street View images. You can even see topography with the new Terrain view. You can also search for a nearby business type (for example, “Restaurant”) and then tap on that business to see the route and directions from your current location. With its expansive display and large, on-screen keyboard, iPad makes jotting down notes easy. In landscape mode, you get not only a note-taking page but a list of all your notes. It even circles the current note in red. So you can see where you are at a glance. iPad makes it easy to keep on schedule by displaying Day, Week, Month or List views of your calendar. That way, you can see an overview of a whole month, or the details of a single day. iPad will even show multiple calendars at once, so you can manage work and family calendars at the same time. The Contacts app on iPad makes finding names, numbers and other important information quicker and easier than ever before. A new view lets you see both your complete contact list, and a single contact, simultaneously. Need directions? Just tap on an address inside a contact and it’ll open Maps. The Home Screen gives you one-tap access to everything on iPad. You can also customize your Home Screen by adding your favorite apps and websites, or using your own photos for the background. And you can move apps around to arrange them in any order you want. Spotlight Search allows you to search across iPad, and all of its built-in apps. Including Mail, Contacts, Calendar, iPod, and Notes. It’ll even search apps you’ve downloaded from the App Store. So no matter what you’re looking for, it’s never more than a few taps away. Main Content ©2010 Apple, Inc. While I completely agree that the iPad could change the way we do business away form the office, I firmly believe that the iPad itself will play the role of trailblazer. I think the iPad sets the bar very high for its class of device. Unfortunately with its many limitations/shortcomings it would be very difficult to utilize effectively in a high paced, information rich work environment. Issues like the lack of multitasking and camera, and what I can only assume will be a difficult touchpad keyboard are difficult to ignore. Hopefully Apple can resolve some of these issues because the iPad’s hardware and the stability offered by OSx could result in a truly game changing device. 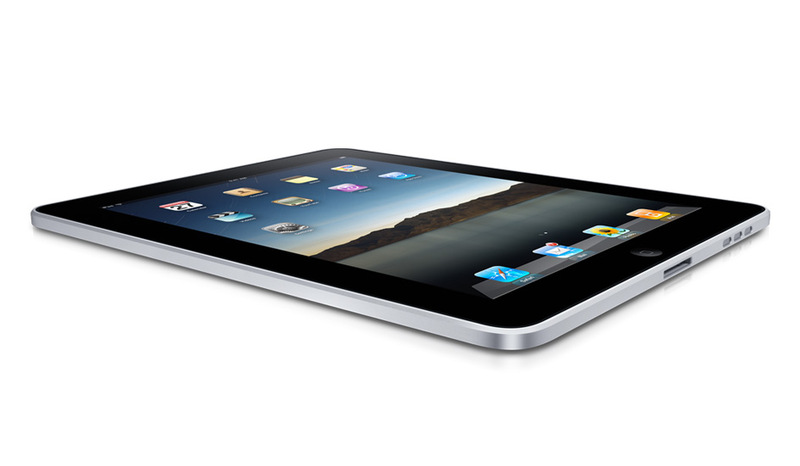 However the touchpad class (allowing more accessible mobile computing) will grow quickly with or without Apple. I’d like to hear your thoughts as a designer/architect.